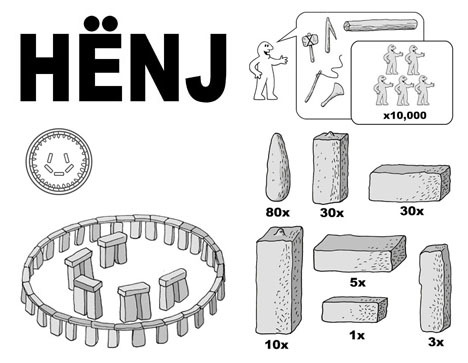 A little history, a little mystery, and a lot of fun, these playful revisiting of the building of Stonehenge is sure to evoke a chuckle from anyone who has had trouble assembling something ‘simple’ from an IKEA store. 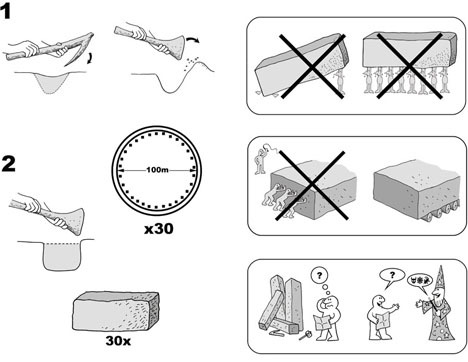 As with actual IKEA instructions, this ‘manual’ by writer Justin Pollard (via Designboom) shows you not only how to do something, but also how not to put the pieces together – a light-hearted debunking of many methods thought to play a part in this ancient architectural wonder. 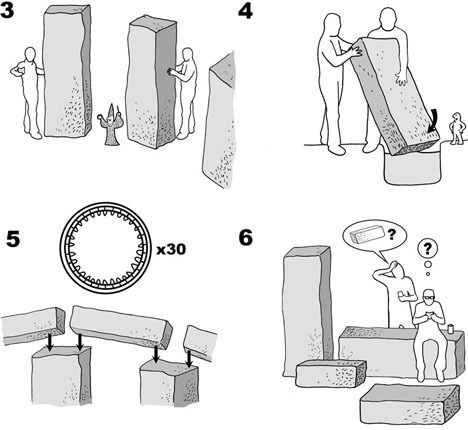 From giants to wizards, it seems clear that the steps required are not trivial, and, in the end, most (mortal) people may give up and grab a beer before completing their variant of this gigantic do-it-yourself project.